PROPHETIC SIGNIFICANCE: Iraq is the modern country that corresponds to the ancient land of Mesopotamia. The city of Babylon was built by Nimrod, the evil great-grandson of Noah (Genesis 10:8-10) to keep people from obeying God's instructions to repopulate the earth after the flood. The city was also the site of the Tower of Babel. Most of the false religions in the world can be traced back to the perversions of the truth that was begun by Nimrod in Babylon. In the course of history, Babylon, led by Nebuchadnezzar, conquered the remaining two tribes of Israel (Assyria had already invaded the Northern Tribes). They took captives and treasures from Jerusalem and the Temple. Iraq second-largest city, Mosul, in the northern part of the country, was originally the biblical city of Nineveh. It was the capital of the ancient empire of Assyria. Nineveh was another city that Nimrod had built. The modern country of Iraq was carved out of the Ottoman Empire at the end of World War I, and was first known as the "Kingdom of Iraq" in 1921, and later, since the monarchy was overthrown in 1958, it has been called the Republic of Iraq. After the 9/11 attacks on New York and Washington D.C. Iraq became the focus of attention as a sponsor of terrorism. Saddam Hussein was a despicable tyrant who slaughtered his own people, even using chemical weapons of mass destruction against them, and was believed to be developing nuclear weapons. He ignored and defied multiple resolutions by the United Nations to allow inspectors to determine the extent of their nuclear activities. In March of 2003 the United States and Great Britain invaded Iraq to overthrow Hussein and stop any development of weapons of mass destruction. The weapons were never found, though there was evidence that they were shipped to Syria just before the invasion. Saddam Hussein was eventually found, tried, and executed in 2006. The United States rebuilt Iraq's infrastructure and helped them establish free elections and a form of democracy. Unfortunately, the reforms could not stop the civil strife between Sunni and Shiite Muslims in the country, so a seemingly endless cycle of violence prevailed and cost the lives of more than 4 thousand Americans in the process. Meanwhile, the sizeable Christian community in Iraq was persecuted and nearly driven out of the country. The U.S. finally withdrew troops from Iraq in 2011. Immediately after that there was an upsurge of terrorist factions, foreshadowing an undesirable future for the nation. The ancient ruins of Babylon, which were undergoing a massive renovation by Saddam Hussein, were not greatly affected by the war. 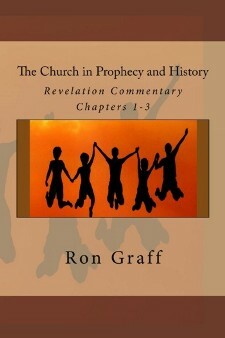 "Mystery Babylon" makes a major appearance in the Book of Revelation. The woman riding the Beast in Revelation 17 is symbolic of a one-world religion that gives its power to the Antichrist regime of the End Times. This "united religion" will be made possible by the absence of the Church after the rapture has taken place, and an uneasy truce between religions including Islam. Many Old Testament prophecies foretold the destruction of Babylon. Isaiah and Jeremiah said that it would be desolate and never inhabited again (Isaiah 13:19-20; Jeremiah 50:39). The Babylonian Empire was conquered by the Medo-Persian Empire, and in time the city did become virtually uninhabited, but many Bible scholars think that the ultimate fulfillment of this prophecy is still future, and it may apply to "Mystery Babylon." In July, 2014 the radical jihadist group, the Islamic State of Iraq and Syria (ISIS), also known as Islamic State of Iraq and the Levant (ISIL), captured a number of cities in Syria and Iraq, and claimed that they were establishing a new Islamic caliphate, with the goal of reclaiming the lands once held by the Ottoman Empire. Using the most brutal tactics seen in our lifetime -- including beheadings, crucifixions, mass slaughter, and burying opponents alive -- they invaded large portions of Syria and Iraq, and drove out almost all Christians. This new, illigitimate force is motivated by Sunni Islamic theology, and will undoubtedly be resisted by the Shite branch of Islam, led by Iran. They will also be opposed by Western powers, including the United States and the more moderate Sunni nations such as Saudi Arabia and Egypt. Notice: Sources often remove their news links after a period of time. Some of them move older stories to a subscription-only section. Even if the story is no longer on line, our summary will still be available on this page. Also: spellings may vary according to sources quoted. Eg. al-Qaida, Al Qaeda, etc. Mar. 6, 2015 - According to the Iraqi government, ISIS terrorists have "bulldozed" the famous Nimrud archaeological site. Axel Plathe, the director of UNESCO's Iraq office, tweeted that the attack was an "appalling attack on Iraq's heritage", while Iraqi archaeologist Lamia al-Gailani told the BBC that ISIS was "erasing our history." Mar. 3, 2015 - Iraqi military forces are trying to take back the key city of Tikrit from Islamic State terroists. U.S. airstrikes are not being conducted there at this time. Battles were reported in the suburb of al-Dour, the western al-Zuhur district, the northern area of Qadisiya, and near the Teaching Hospital in the south. Feb. 20, 2015 - A senior U.S. Central Command official revealed that plans for retaking the city of Mosul in Iraq from ISIS will involve up to 25,000 Iraqi troops and three brigades of Kurdish Peshmerga fighters. The offensive would probably begin in the "April, May timeframe." A current and former military intelligence officer also told Fox News that the decision to publicly announce the plan was counterintuitive because it "telegraphs" the timing and number of units involved. Feb. 19, 2015 - Peshmerga fighters stopped a major attack against Irbil, the capital of the Kurdistan region in Iraq. They were supported by US-led coalition aircraft, but complain that they are still poorly armed compared with the jihadists. The coalition has conducted more than 1,200 air strikes in Iraq since August, when IS militants overran the Peshmergas' defenses in the north. Feb. 18, 2015 - In President Obama's editorial opinion in the Los Angeles Times, he minimizes the importance of religious motives in the growing problem of terrorism, and points to the need for society to provide hope and opportunity to people around the world who do not feel that they have a good future. A summit of religious and community leaders will convene today to discuss possible solutions to the problem. With this week's summit, we'll show once more that � unlike terrorists who only offer misery and death � it is our free societies and diverse communities that offer the true path to opportunity, justice and dignity. Feb. 17, 2015 - Read this insightful article to really understand what is behind the ISIS movement, and how their theology is leading to the apocalypse. It is long, but thoroughly worth the time and concentration it requires of the reader. Here is the author's summary of the information. The Islamic State is no mere collection of psychopaths. 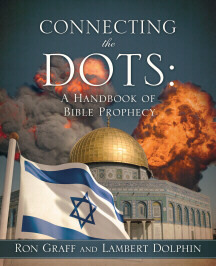 It is a religious group with carefully considered beliefs, among them that it is a key agent of the coming apocalypse. Here�s what that means for its strategy�and for how to stop it. Feb. 13, 2015 - Islamic State fighters have apparently taken control of the town of al-Baghdadi in Iraq. There are conflicting reports about whether or not they tried to attack the Al Asad base nearby where Marines are training Iraqis. Feb. 11, 2015 - Today President Obama asked for formal authority to use the U.S. military to combat the Islamic State. The request for a new Authorization for the Use of Military Force, or AUMF, marks the first time Obama has requested approval for military action in his six-year presidency. Feb. 10, 2015 - President Obama is planning to offer Congress a legislative proposal outlining the parameters of military engagement against the Islamic State. Lawmakers and congressional aides have said they expect authorization would run for three years and will attempt to confront the issue of when and how U.S. ground troops may be used in the conflict. Legislators will want to define the language of the agreement. Some of these terms are "boots on the ground,'" "enduring combat," and "engagement." The President's request may appease the demands by some lawmakers for Congress to exercise its constitutional power to declare war on its own. Islamic State militants put to death a captured Jordanian fighter pilot by burning him alive in a cage.... The kingdom, which had vowed a swift and lethal response, executed two al-Qaida prisoners by hanging early Wednesday, a government spokesman said..
New Revelation commentary just released!